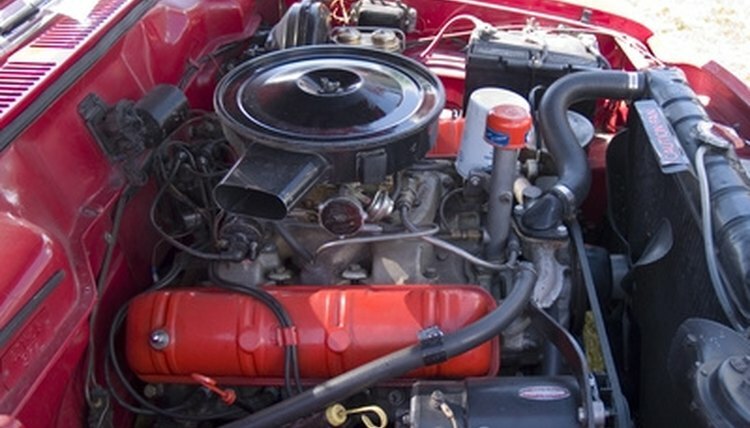 Mechanic shops provide repair services for vehicle owners every day. Most customers pay for their repairs and spread good reputation by word of mouth. Others, however, may not pay for the repairs and decide to leave their vehicle in the care of the mechanic until they can pay. If that vehicle is left for too long, or abandoned, the mechanic shop may have the right to file for a mechanic's lien. Selling the vehicle at a public sale will help to pay business expenses incurred. Give notice within 15 days from the first date from which storage charges you have accrued. That includes the description of the vehicle, including year, make, and vehicle identification number. List the address of the vehicle's location, the name and address of the registered owner, or the customer listed on the repair order if you don't know who the registered owner is. List anyone who may claim an interest in or a lien to the vehicle. Include the name, address and telephone number of the repair shop or name of the company seeking the mechanic's lien, and the date, time, and location of the scheduled sale of the vehicle, if known. Send the notice by certified mail or return request to the registered owner of the vehicle as it is listed on the title or registration, the customer name and address listed on the repair order if the registered owner is unknown, and any other persons that may claim an interest in or lien against the vehicle. Mail a date of sale of the vehicle if it was not previously included in the original notice at least 15 days before the date the vehicle will be sold. Submit the notice of sale in a local newspaper published in the county where the vehicle is being kept. File the certificate of compliance, a copy of the original notification, the return receipt for mailing and proof of publication with the circuit clerk's office in the county where the vehicle is being kept. Pay the circuit clerk's office the service charge of $10 for fees in order to claim the mechanic's lien title. Sell the vehicle at a public sale and subtract the money owed to your business, including repairs, storage, and attorney's fees. Submit the remainder of the sale money in cash to the circuit clerk's office. Shamoon, Tia. "How to Get a Florida Mechanic Car Title." , https://legalbeagle.com/7340107-florida-mechanic-car-title.html. Accessed 23 April 2019.